Structured wiring is the term used to describe a relatively new method of providing service throughout your home for all of your low voltage requirements - cable TV, satellite TV, sound, telephone, fax, security and data. Over the past 15 years, the amount of information and services that we are receiving from outside our home have grown dramatically. The standard method of delivering the services to different rooms within a home is also changing as technology is offering us new and enhanced benefits and features. 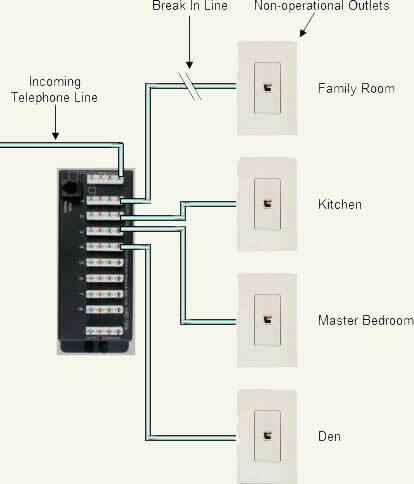 The standard method of wiring a home, for low voltage devices, such as TV and telephone was to create a loop. The service would enter the home and from there it would be connected to the closest location and from that location it would be connected to the next and so on, as shown in Figure 1. A break in a wire or other damage disrupts the service from that point forward, as shown in Figure 2. The services delivered to the first outlet on the loop must be the same for all outlets on the loop. 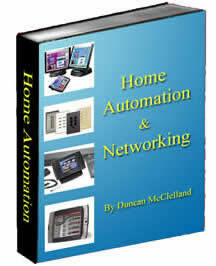 By utilizing the structured wiring method the aforementioned problems are dealt with. The damage of a wire to an outlet only disables that outlet, as shown in Figure 2, as there are no additional outlets connected to that leg.